I had some initial difficulty in learning to read. My mom tried to teach me with some instructional material from a newspaper supplement, with no success whatsoever. I was a motivated learner, but the whole premise of the instructional material—which was based on phonics—made no sense to me at all. I learned to read more or less all at once on the first day of first grade, when the teacher flipped through some big cards with words on them, together with pictures that were supposed to help indicate each word’s meaning. (I remember that “ball” was one of them, and that “go” was another.) I was stunned to realize that many of my classmates were ahead of me—they could read these words, and I could not. But immediately, after just four or five cards, I grasped that the fundamental unit of reading was not the letter (which is what all that phonics-based stuff had implied). It was the word. I was instantly off and running. I generally only had to be exposed to a printed word a single time to learn it. There were still a few (sufficiently frustrating to be memorable 50-plus years later) instances where adults refused to just tell me what a word was, trying to coach me through the process of “sounding it out”—something that I was never able to do—but within a day or two I was reading well above grade level and never looked back. Even now phonics is only something I understand backwards. The spelling of English words is interesting in how it freezes in time a brief period in the midst of vast shifts in pronunciation, but I still find preposterous the idea that it’s easier to memorize sixty or eighty common spellings of the 40-odd phonemes that make up English, to learn dozens of common exceptions, and then to use that knowledge to “sound out” a word, than it is to just learn all the words. In my experience, just learning all the words was trivially easy, while sounding a word out was virtually impossible. I am given to understand that dyslexia is roughly the opposite of this. People with dyslexia are unable to make the jump to what is called “whole-word” reading, and are basically forced to stick with “sounding out” every word. This is mostly important only in that I think it illustrates why it’s stupid to standardize on one way of teaching reading just because most people will learn to read just fine either way. Some people—me on the one hand, dyslexics on the other—will only be able to learn to read one way, and it’s not the same way. Although it’s not important, I do have a recent illustrative anecdote to relate. One side-effect of the way I perceive words is that I have no idea how they are spelled. It wasn’t until I was in college (and realized that I simply had to learn how to spell) that I bit the bullet and learned how to spell the only way that works for me: I need to memorize the list of letters that makes up a word. To this day, if I have not needed to write a word, I do not know how to spell it. For example, I did not know how to spell “Los Angeles” until after I moved there—and even then I didn’t learn it for several weeks until I had to write it down for some reason. A related side-effect is that certain words that have similar shapes get conflated in my brain. Especially if they have somewhat congruent meanings, I will simply not realize that they are not the same word. I mention all this now because a specific instances of it came up yesterday. Jackie had put calamine lotion on the shopping list, so I was picking up a bottle of the stuff. 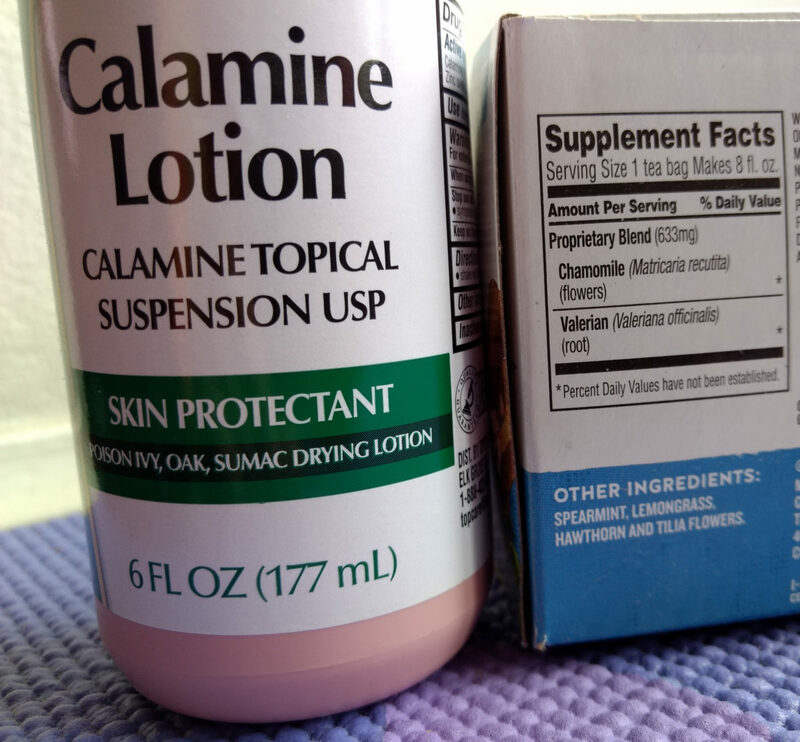 I read the label to see if the generic would be just as good as some brand-name version, and was surprised to see that “calamine lotion” is a specific thing: calamine topical suspension USP. Reading the label so carefully made me realize for the first time that calamine is something different from chamomile. To my brain the words look an awful lot alike, and they’re both key ingredients in traditional remedies, so I had just slotted them in as the same thing. Second, the brand-name stuff, because it doesn’t follow the USP formulary, isn’t even calamine lotion; it’s just some skin protectant lotion with a similar color that happens to have calamine in it. Who would want that?